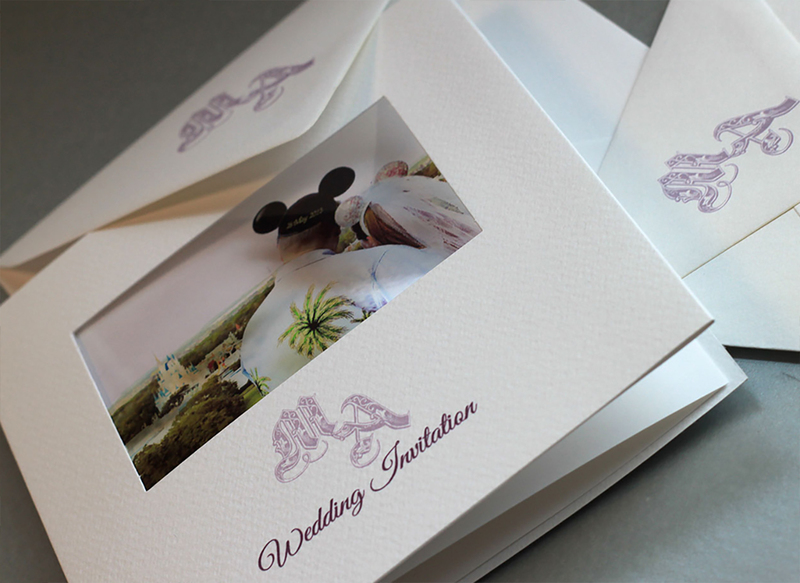 Melanie and Aaron had a magical disney wedding in Florida and this is the stationery we created for them.We designed a fairy tale style monogram using their initials in the purple colours from the wedding theme and this appeared on all their stationery linking it all together.. 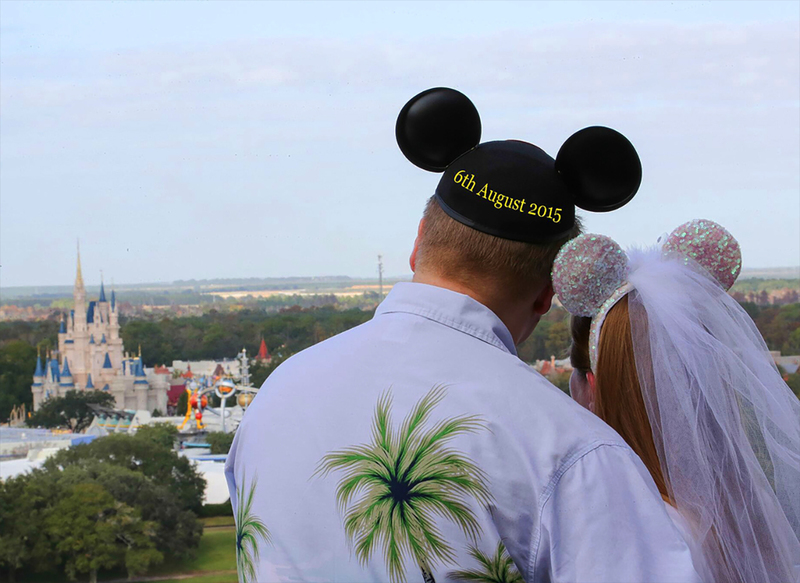 They used a photo of the two of them looking out at Disney with they Mickey Mouse hats on. On Aarons hat we altered the date to the actual day of the wedding using Photoshop and just added a nice lilac tint to the sky so it went with all the stationery. 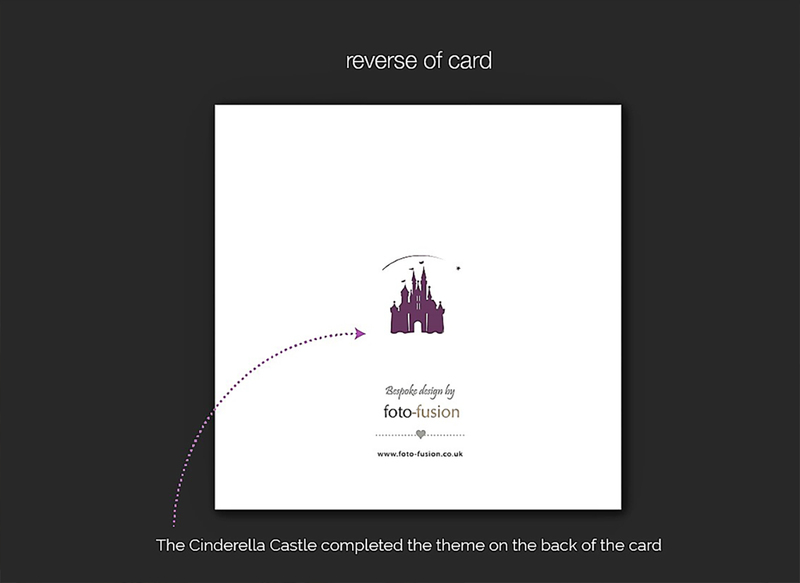 We added another Walt Disney quote ‘ All our dreams can come true if we have the courage to pursue them’. 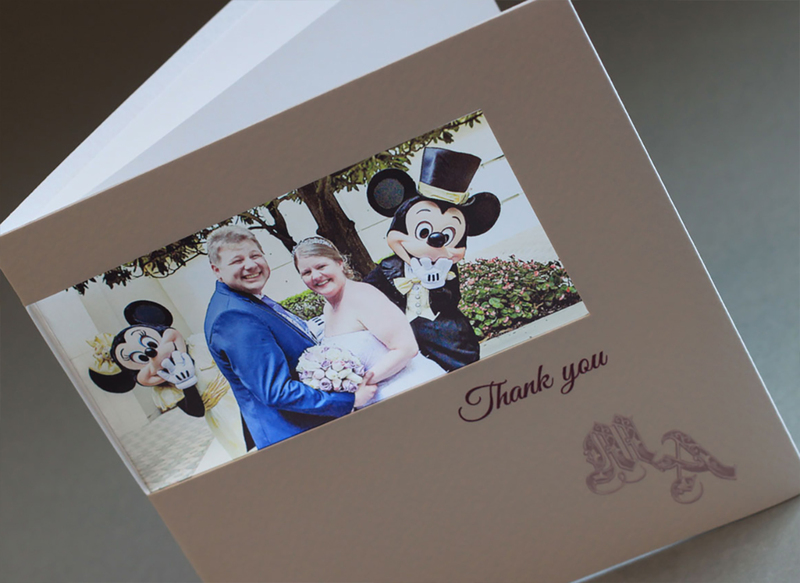 All the cards were personalised with the guests names and printed their address details on all the envelopes. 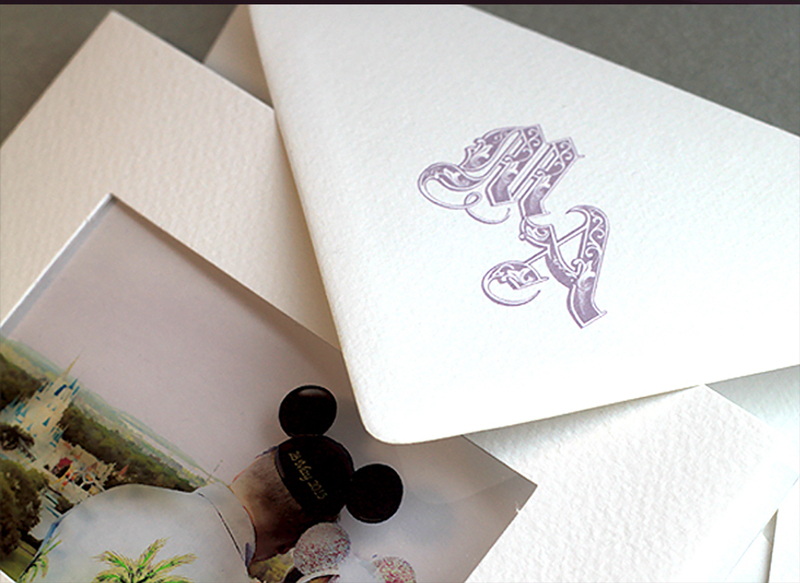 Each envelope had the monogram on the back too to add another personalised detail. 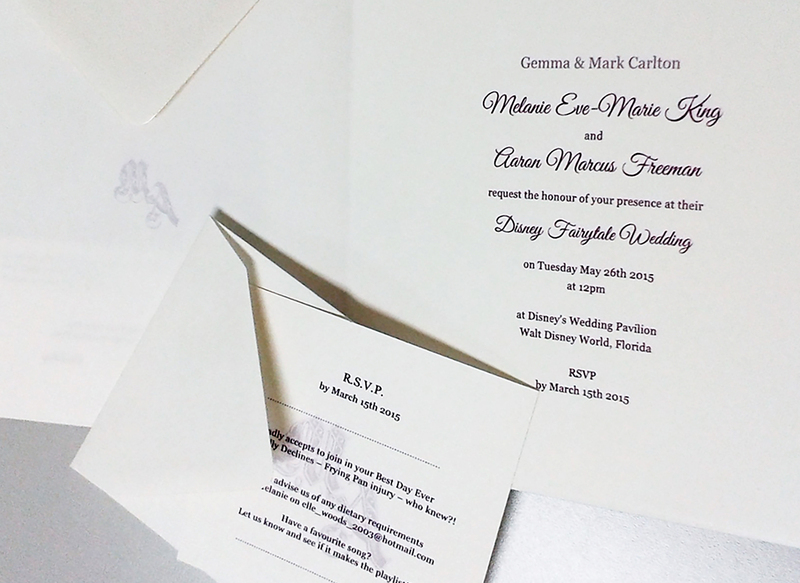 RSVP cards we used a watermark effect of the monogram behind the wording to add a nice design element to the cards and thet came printed with Melanie and Arons return address. 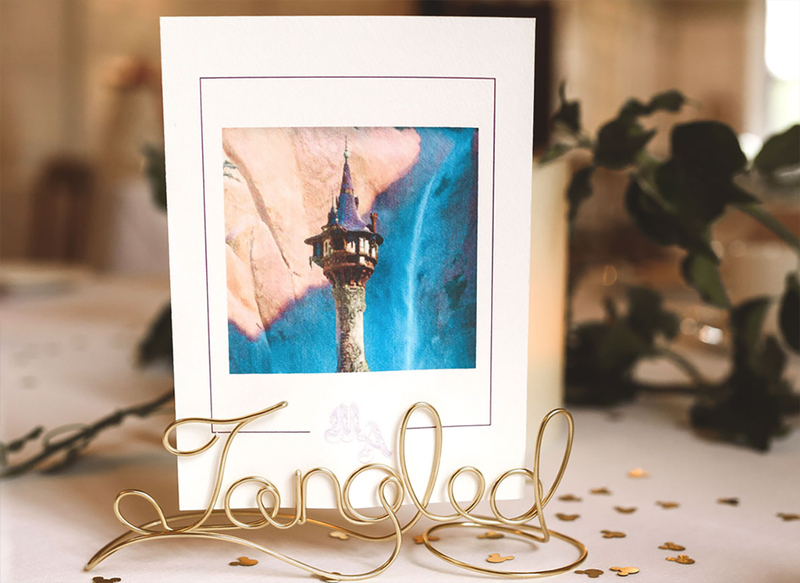 The service held at The Wedding Pavilion at the Walt Disney World Resort and they used a photo of this on their service booklets. We tinted the photo again to link in with the lilac theme. 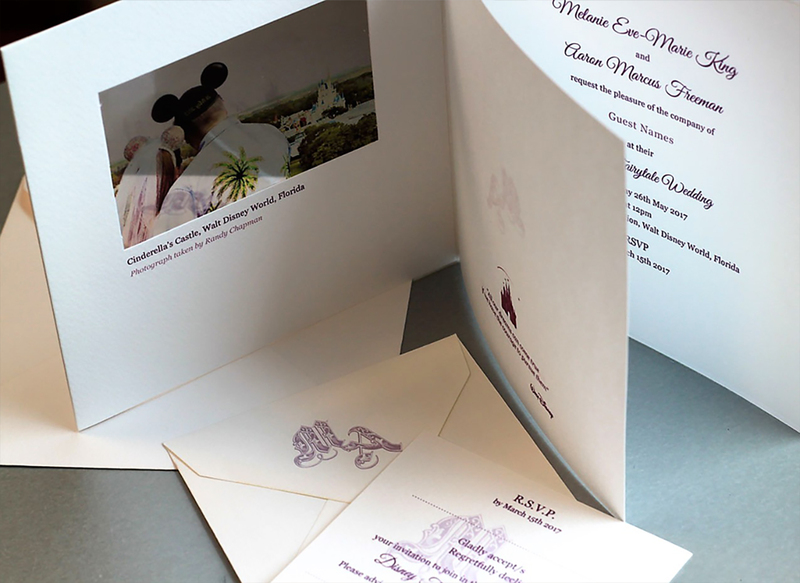 The cards detailed what was happened in the service, wh was involved in the service and names of the wedding party along with what was happening throughout the day so guests knew the timings of each part of the wedding after all you wouldnt want to be late for a dessert party?! 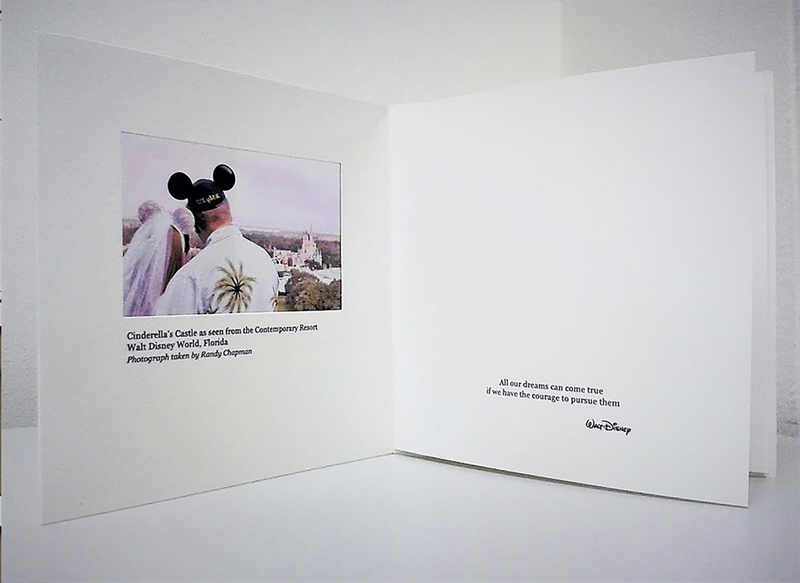 THey added another lovely quote to the front of the cards on the inside saying ‘ First think, Second believe, Third dream and finally…Dare’ Walt Disney. 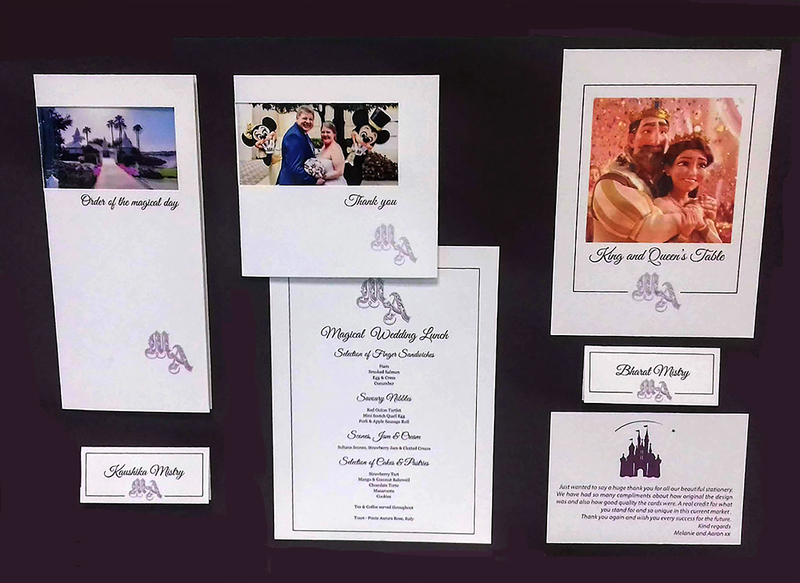 This all had the monogram on and pictures were used from the Tangled movie instead of numbers. 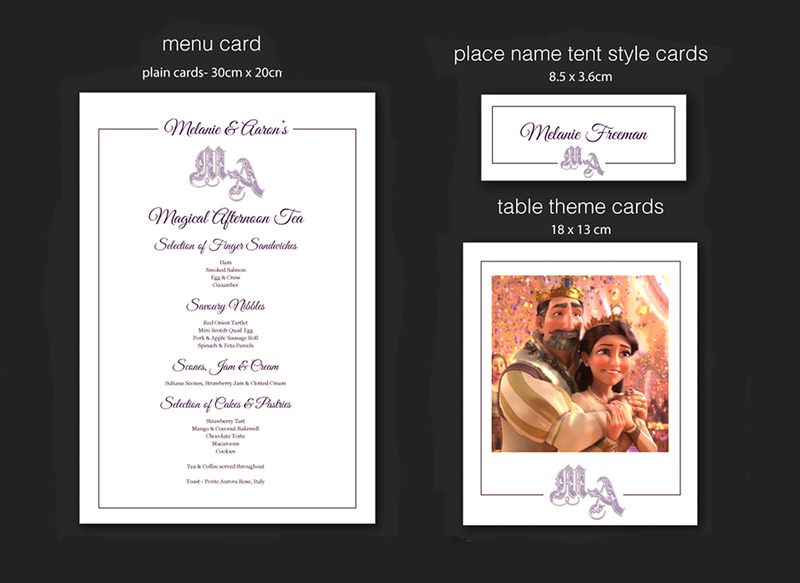 For instance the top table was called the King and Queen’s table and they used an image of the characters from the movie. 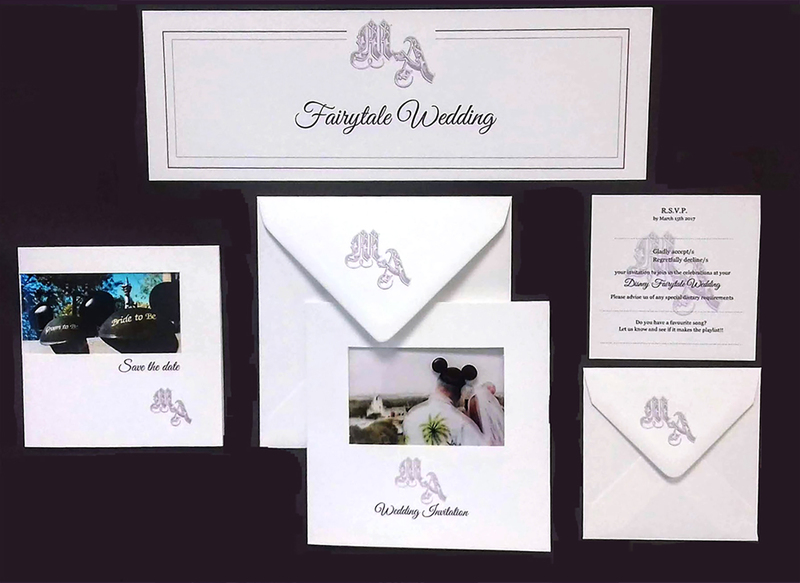 Every little detail was planned and we provided palce name cards and signs too so guests had certain information from cocktail menu’s to a cream tea magical lunch that was planned.